Fish and fish products exported to Guatemala require a Guatemala Export Health Certificate. Neither facility registration for Guatemala, nor USDC Approved Establishment status is required to obtain certification. The following hormones are prohibited for use in all fish products: dienoestrol, diethylstilboestrol, hexoestrol and oestradiol. Fish products exported to Hong Kong cannot contain preservatives or antioxidants unless specified in the following table. As a country which has signed the European Economic Area (EEA) agreement, Iceland has adopted the certification and import requirements in place for the European Union (EU). Consult the European Union certification requirements for certification of product exported to Iceland. Note: A current listing of the Border Inspection Posts (Box 1.16) for Iceland is not readily available. Exporters should ensure through their buyer/importer that the correct Border Inspection Post is listed. The European Free Trade Association (EFTA) is an intergovernmental organization set up for the promotion of free trade and economic integration to the benefit of its four Member States: Iceland, Liechtenstein, Norway, Switzerland. Guidance on the completion of the model health certificate for imports of fishery products intended for human consumption to EFTA countries. The following guidance is provided to assist with the completion of the model health certificate for imports of fishery products intended for human consumption as laid down in Commission Regulation (EC) No 2074/2005(1) as amended. It incorporates the notes for guidance listed on the certificate itself and the explanatory notes found in Commission Decision 2007/240/EC (2). In addition, guidance has been obtained from the texts of the international standard- setting body Codex Alimentarius. In the Guidelines for Design, Production, Issuance and Use of Generic Official Certificates (CAC/GL 38-2001(3) issued by the Codex Alimentarius Commission (4), replacement certificates are foreseen for certain administrative corrections or if the certificates were lost or damaged. 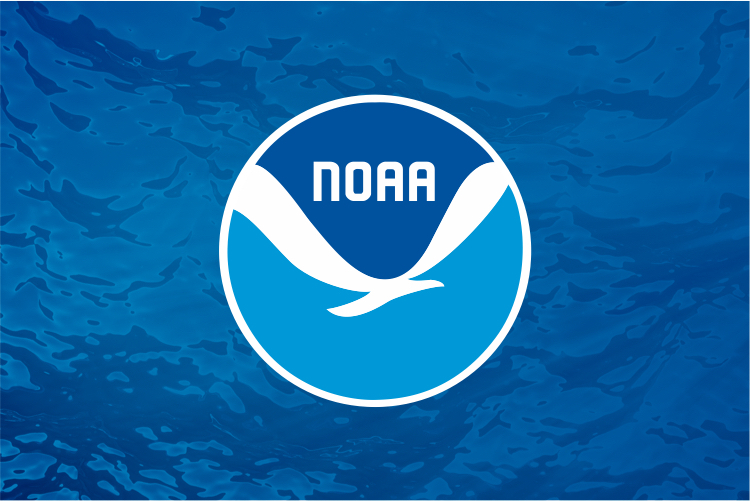 All certification should be done via the NOAA SIP online certificate system. Only as an option when the system is down or unavailable, a PDF version is used. The directions below are guidance for both the system completion and the PDF certification for information required in fields located on the documents. Certifying officers must verify that all firms that handled, processed or stored the product and its ingredients are listed as current approved shippers to the E.U. The certificate must be issued before the consignment to which it relates leaves the control of the competent authority of the country of dispatch. Therefore the health certificate must be issued after all the products in the consignment have been produced but before the consignment leaves the country, ideally when the product leaves the dispatch establishment. The original version of the certificate must accompany consignments on entry into EFTA country (original signature of an authorized officer, the name in capital letters, the qualification and title, and original stamp of the competent authority). The EFTA countries have elected to use the EU model health certificate with public and animal health attestations. All intentions of the attestations must be met including Approved Facility listings and raw material sourcing requirements. A Health Certificate for fishery products intended for human consumption exported to the Republic of Indonesia is required for each consignment. Exporters should contact the issuing authority for United States, USDC NOAA Seafood Inspection Program, prior to export to make arrangements to obtain certification. Israel has elected to use the EU model health certificate with public and animal health attestations. All intentions of the attestations must be met including Approved Facility listings and raw material sourcing requirements. Israel is not a participant of the Veterinary Equivalence Agreement between the US and EU, therefore all product exported to Israel requires physical inspection. If the product is produced in a USDC HACCP QMP facility a Lot inspection is not required. All documentation verification must still be done for each consignment. If the product is produced in a USDC resident inspection facility physical consignment by consignment inspection is required prior to certification. All firms requesting an export certificate must be listed as an Approved Establishment in the USDC Seafood Inspection Program. All consignments must have been produced in an Approved Facility, have a USDC SIP Lot inspection and a USDC SIP Export Health certificate unique to the product and shipment. The original version of the certificate must accompany consignments on entry into the Israel (original signature of an authorized officer, the name in capital letters, the qualification and title, and original stamp of the competent authority). Labels for fish products must include, in both Hebrew and English, the name of the product, the name of the fish from which the product was prepared, the name and address of the producer, the name and address of the importer, and the word "KOSHER" if the owner or importer is in possession of a certificate from the Chief Rabbinate of Israel, or the words "NOT KOSHER" if the producer or importer is not in possession of such a certificate. All manufactured and processed foods must be labelled with nutritional information according to guidelines set by the Israeli Health Ministry. Unprocessed fish is exempt from this requirement. Exporters should consult with their importers for further details concerning Israeli labeling requirements. Canned fish is subject to product specifications under the processed-food law. Processed fishery products are subject to labeling and marking requirements. Every container of processed food must bear a code showing the date on which the food was packed, the process batch, the name of the processor and the place in which it was processed. Common names must be used in reference to spices, flavorings and colorings, as well as quantity, by weight or volume, of food ingredients. Letters used in labeling should be a prescribed size in relation to the size of the container. Specifically for cooked Crab, US or foreign harvested consignments must be certified by lot inspection or processed under an approved Quality Management Program. These consignments must be accompanied by either a US Catch/Origin or a Non US catch/Origin certificate issued by the USDC Seafood Inspection Program. Shippers of foreign sourced product are required to provide valid documentation from country of origin to receive certification. All fishery products must, before entering Kenya, be lot inspected for health and quality conditions and must be accompanied by an Export Health Certificate proving this inspection has been undertaken. Beginning April 9, 2017 Live farmed aquatic animals, frozen/chilled Abalone, frozen/chilled Oyster’s require a Health Certificate. Normal inspection procedures apply to these fishery products, e.g. lot inspection, in-plant inspection or a current HACCP QMP system. Beginning April 1, 2018 Live wild aquatic animals and frozen/chilled shrimp require a Health Certificate. Normal inspection procedures apply to these fishery products, e.g. lot inspection, in-plant inspection or a current HACCP QMP system. All other fresh/frozen products do not require a certificate; however, ROK does have a pre- registration requirement. For normal (non-by-product) fishery products: Ministry of Food and Drug Safety: MFDS requires mandatory pre-registration process for overseas manufacturing facilities via MFDS system (https://impfood.mfds.go.kr/) by either an importer or an exporter 7 days before the import declaration. The Republic of Korea (ROK) requires Export Health Certificates for by-products including frozen cod heads, tuna heads, southern hake heads, visceral by-products such as edible fish roe, Pollock entrails, hard roe and the nidamental gland of squid. ROK also requires that U.S. exporters be on a list of approved facilities. Facilities shipping fisheries by-products to ROK must be Approved Establishments in the Seafood Inspection Program and must appear on the ROK Approved Shippers List. If you are interested in being placed on the ROK Approved Shippers List please contact Consumer Safety Officer HQ staff at Jenny.Stephenson@noaa.gov or 301-427-8307. United Sates registered establishments must be approved for export to the European Union (EU) and must be on the list of United States establishments approved to export fish and seafood products to the European Union. Internet sites for information on exports to Macedonia: Ministry of Agriculture, Forestry and Water Management and Agency for Food and Veterinary Macedonia. Each shipment of fish and seafood products exported to Malaysia must be accompanied by Export Health certificate and Certificate of Origin. All labels on prepackaged products (excluding bulk) must appear in Spanish and must be at least the same size as those in other languages. The expiry date of prepackaged products must be indicated with the words "Expiry date_____" "Expiry_____ " or "Exp. date_____" followed by the corresponding date. the statement "Refrigerate at a maximum of 4°C" or "Keep refrigerated". the statement "Do not re-freeze once product has been defrosted"
the code number to identify the product, manufacturing date (year/month/day) and lot number. Exporters should consult with their importers for further details concerning Mexican labeling requirements. lot number, day/month and year processed. Food in lead-soldered cans is not permitted. have a salt (NaCl) content of 20% or more (minimum of 20% NaCl) based on the wet weight of the product. Salted fish which does not meet this standard may be further tested for microbiological contaminants and if found to be unsatisfactory, could be rejected. Each shipment of fish and seafood products exported to Mexico must be accompanied by Export Health certificate and Commodity Specific Certificate of Origin. Fishery products must be in compliance with the requirements of the sanitary regulations of the European Union.